Großbottwar, July 2013. 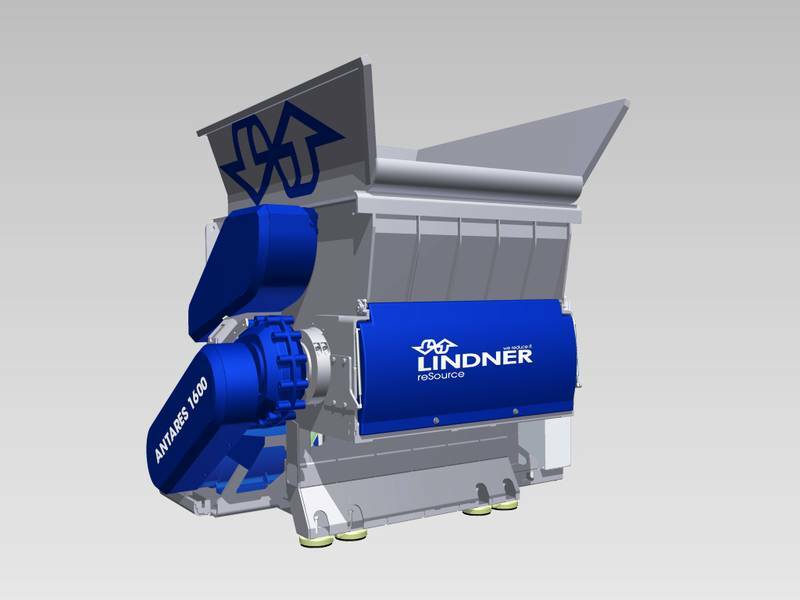 Antares is the name of a new line of compact single-shaft shredders made by Lindner reSource which deliver up to one-third more throughput than previous machines in this class, but at the same price level. Available in four design sizes and numerous equipment configurations, the units are perfectly adaptable to specific requirements in the plastics processing and recycling industry. Thus, typical applications range from postconsumer materials to special tasks such as in-house recycling of films, filaments, start-up lumps and sheets/plates. 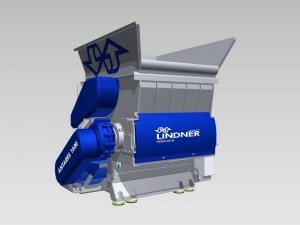 Lindner reSource will present this new line for the first time at K 2013 (stand B17, Hall 9). Common to all versions of these machines are their high energy efficiency, exceptional operator friendliness and very good accessibility of all components. This can reduce both operating costs and maintenance or retooling expenditures, since standard interventions – e.g., a change of wearing parts or screen replacement – can be performed very quickly. The sturdy design and proven safety technology characterizing all shredders built by this manufacturer guarantee smooth production workflows for a long time. Delivery times can usually be kept short due to Lindner’s modular “building block” system, from which most components are derived. The Antares line starts with the Type 1000 model and goes up, through the 1300 and 1600 versions, to the Antares 1900 with its 1880-mm-long rotor. At the user’s option, each machine can be equipped with a point-blade rotor for precise high-throughput shredding of, e.g., big bags, filaments and agricultural films. Alternatively, an energy-saving square blade rotor can be fitted for optimum performance with hard plastics. At motor ratings from 37 kW up to 110 kW, the units deliver typical throughputs between 500 and 2500 kg/h. Especially the Antares 1900 thus almost measures up to the next larger, Micromat Plus shredder line.